In this guest post, Debra Chin, 4C Early Childhood Specialist, shares some thoughts about our work with young dual language learners. Part One: What is Code-Mixing? My husband and I immigrated from Taiwan to Cincinnati 30 years ago. Chinese Mandarin, which we used in our home, is our native language and English is our second language. My two college boys were born and grew up in Cincinnati. They learned Chinese Mandarin at home and were not exposed to English until they began attending a local child care center when they were seven months old. In addition to schooling in English, the boys also attended a weekend Chinese-language school throughout their elementary years. As the boys grew up we, as well as many families that have shared a similar linguistic journey as ours, developed our own language called “Chinglish.” In our “Chinglish” language, we mix both Chinese and English words in a sentence. For example, unlike English, Chinese verbs do not have progressive aspects by adding –ing at the end. One day, I heard one of my boys answer my question by saying, “I am xi zao (洗澡)ing” meaning “I am taking a shower.” “Xi zao” (洗澡) in Chinese means “take a shower.” However in Chinese no change at the end of the verb is required to indicate immediacy. This is an example of code-mixing, also known as code-switching, and it is a very common practice of young dual language learners (DLL) and also adult bilinguals and is a valuable linguistic tool. 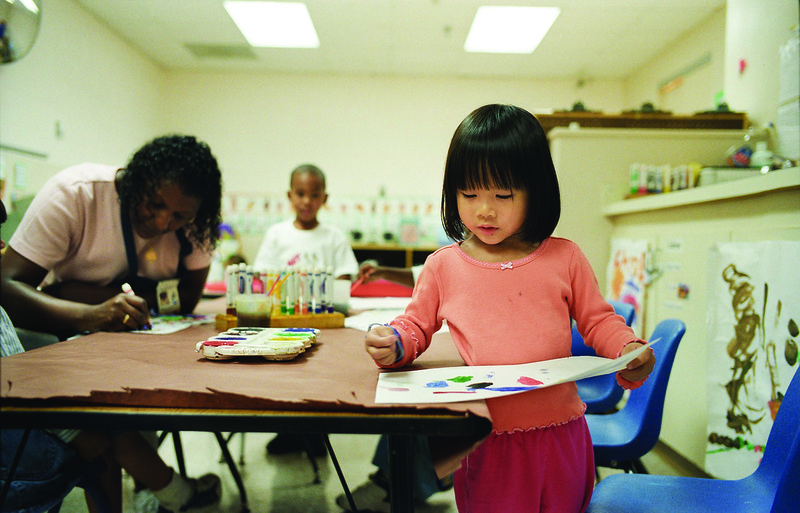 How can ECE providers support young children who are learning more than one language? Young DLLs focus on the meaning of the language and truly demonstrate communication, which is the most important goal in learning a language. The reason that young DLLs mix their languages is they have not developed enough vocabulary and/or grammatical structures in one or both languages to express themselves entirely in each language so they borrow from the other language. Yet, even when DLLs integrate both languages in a sentence, paragraph or stream of conversation, they often honor the grammatical patterns of both languages. Early care and education (ECE) professionals should not stop bilingual children from code-mixing. Code-mixing is a natural learning process for bilingual children and doesn’t happen because children have mistaken one language for the other. Code-mixing reveals children’s active construction of language learning. It’s an advanced language skill for young bilinguals to know when and how to “take out” and use the relevant linguistic information stored in their brain based on what they have learned about languages— and the linguistic needs of their audience at that moment. Many proficient adult bilinguals code-switch in informal conversations with others who are bilingual in the same languages. As their proficiency increases in both languages, bilinguals will naturally stop doing it when in a situation that demands monolingual uses of language. I notice this progression in my own daily use of the languages. For example, when I am at work around people who are English monolinguals, I use English for communication. However, when I return home to my family, I integrate both languages in conversation. Bilinguals seem to be very sensitive and adaptable to the people with whom they interact and the situations they are in. In part two, learn about how you can support language development through encouraging code-mixing. This entry was posted in Best Practice, Early Childhood and tagged bilingual, dual language learner on July 16, 2015 by 4cforchildren. Glad to know that you like it. I am looking forward to hearing more from our viewers about this post! Thank you for your sharing, Angie!